This month focuses on introducing you to charcoal. We included the General Pencil’s Primo Charcoal Set. This set is one of our favorites for its versatility and value. We also included an Art Alternatives Chamois so you can blend large areas of your piece. Chamois are great for any medium that blends, from the pastels in our June box to the graphite of our August box. We also included a pack of Art Alternatives blending stumps so you could blend in a more precise manner than what's possible with the chamois. Finally we included a General Pencil Regular charcoal set so you could compare the difference in quality between their primo set and their regular offering. 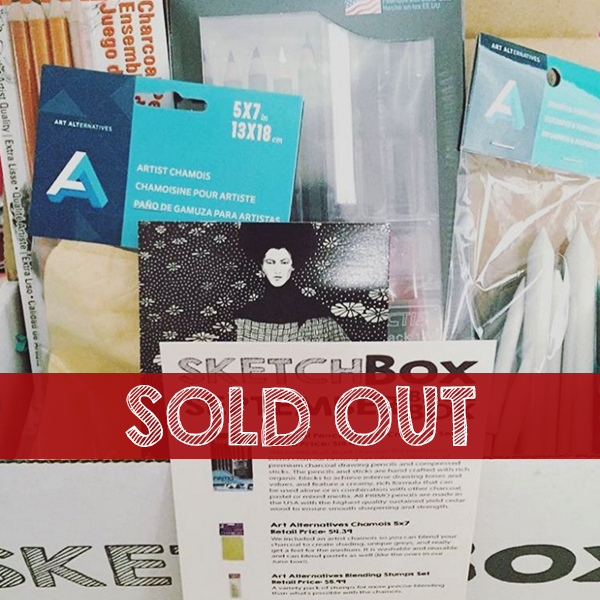 That's the SketchBox difference - we allow you to get a true feel for a brand across it's offering of supplies. Art pictured by our subscriber @rachaelleighann on instagram.